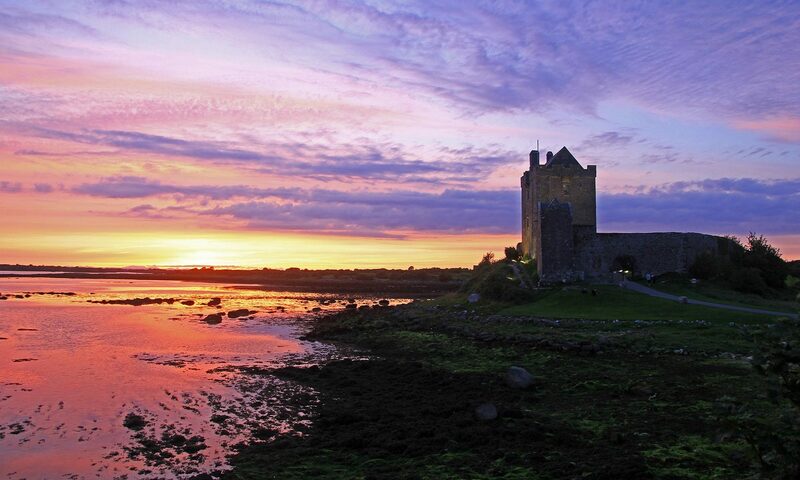 The Kinvara Adventure Talks Series 2018 is happening every Thursday in November. 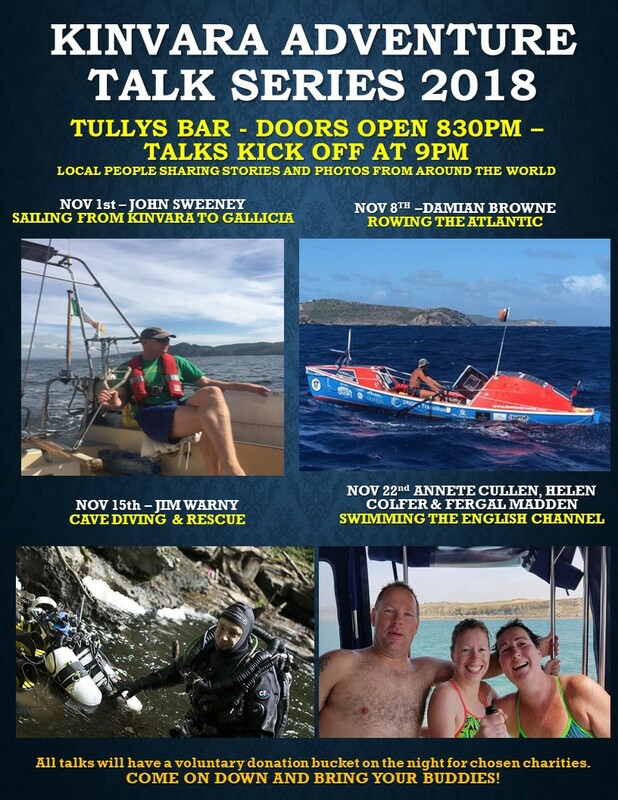 Once again we have high calibre speakers each Thursday in Tully’s Bar in Kinvara, including sailors, rowers, divers and swimmers. A profile of each speaker can be seen below. Doors open at 8.30pm, talks begin promptly at 9pm. Ensure you are there in plenty of time as last year each week was really popular. See you there! DAMIAN BROWNE – ADVENTURER (8th Nov) Damian is a former professional rugby player who player for teams including Connaught and Leinster. Now focusing on adventures which push the body to its limits, Damian is going to share the highs and lows of rowing across the Atlantic in 2018. Overcoming storms, capsizes and breaking his self-steering gear, he managed to successfully row the 4,800 km from the Canaries to Antigua in 63 days. Damian is a real example of pushing yourself mentally and physically to achieve your goals.